What Does the Bible Teach about the Cannabis Plant? The debate regarding the use of marijuana has heated up considerably in recent years. This has caused individual states to decriminalize the use of marijuana. There are many political, medical, and scientific responses to this change in the acceptance of pot, but the evidence is still strongly against such usage. Separate from the medical question discussed above, there is also now a change in how many Christians have come to the defense of the use of marijuana, arguing that Scripture supports its use. 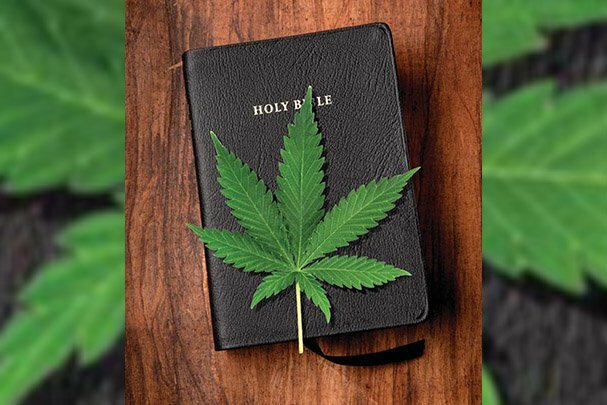 These Christians believe that the Bible supports use of the drug or, at the least, marijuana is no more sinful than the use of other drugs that Christians imbibe, such as tobacco, coffee, and alcohol. Though the medical and scientific evidence regarding marijuana is important, my focus in this article relates to whether the Bible truly supports its use by believers. The Biblical Text Used to Support the Use of Cannabis. Purportedly the Bible supports the use of all the various seeds and herbs because they were created and blessed by God and could not be wrong to use. Consequently, the plant called hemp is proper for Christians to use for food, medicine, and enjoyment (Gen. 1:12).2 In Genesis 1:29–31, the Bible further indicates that all herbs are given for food.3 Much is made about the statement, found in the KJV, which supposedly speaks of hemp being the plant spoken of in Ezekiel 34:29, called a “plant of renown,” which would heal (Rev. 22:1–2). There Is Evidence of the Use of Drugs in the Ancient Near East, Including Israel. Although its mention by name is uncertain, little question exists that the hemp plant was used in the Ancient Near East, and likely in Israel, in a variety of ways, other than as a drug, such as textiles, cords, incense, oils, and even seeds used for food. The argument has been made that the reference to herbs in Isaiah 18:4–5 concerns the cannabis plant, but it simply does not use a designation that defines the term as hemp.5 It is true that as early as 5000 BC what was called a “joy plant,” possibly cannabis, was indulged in to induce sleep or a trance. Whether used in Israel, it is well known6 that drugs from plants were tied both to medical applications and pagan activities, including especially magic. Galen, the ancient doctor, for example, speaks at length of medical applications of intoxicating drugs (see also medical texts such as Celsus, De medicina Prooemium 1.37). Such a practice in the Israelite cultus to heighten communication with Yahweh is not found, even though the text of Exodus 30:22–29 is posited as an example of ceremonial use. The argument is that the qaneh-bosem of Exodus 30:22–29 is, in fact, a reference to cannabis,7 and that the common view that it should be translated “sweet calamus” is a mistranslation. Such is not the case. The Hebrew qenêh-ḇōśem in Exodus 30:23 is the “sweet cane” of Scripture, probably the Andropogon calamus aromatics, native to India.8 Qaneh refers to a “water-plant” or “stalk of grain”and bosem refers to “sweet” or a “sweet odor.”9 Even if one could demonstrate that the etymology of the word traced back to the Hebrew qenêh-ḇōśem was cannabis, there is no evidence that the priests ingested or smoked it. The Bible Recognizes the Use and Abuse of Drugs. This is an argument by association of alcoholic beverages in the New Testament—which is clearly discussed, both as to the benefits of moderate use and as to the disastrous impact of excessive use—with intoxicating plants.10 Usually the fact that Jesus made wine at the wedding at Cana (John 2:1–10) and passages such as Proverbs 31:6–7 show the positive side, and Isaiah 5:10 gives the negative. Those who support the use of marijuana are correct that the Bible presents alcohol in a positive light when used in moderation and in a negative light when abused, as seen in the verses above and others, but there is no mention at all of hemp plants being used as a drug in the Bible. The attempt is to try to bring a connection with wine, and thus to say marijuana is OK. This is false. Wine is a beverage used often with meals in the Bible, and its effects are small and even healthy in moderation. Even when wine is abused, it has little of the residual impact of marijuana when used in even small proportions, so that attempts to compare them fail. It is plain that the argument by some that wine was so watered down in the time of the New Testament that one could not get drunk cannot be sustained11 because the New Testament itself forbids drunkenness and at several points Christians, as well as Jesus, are accused of being drunk (e.g., Acts 2:13; Luke 7:34). On the other hand, the Bible does not provide for moderate use of other intoxicating substances, so that sufficient parallels cannot be drawn between the two substances to sustain a biblical case for the Christian’s recreational or medical use of marijuana; the Scripture does not mention either. What We Can and Cannot Draw from the Bible on Cannabis Use. The following biblical considerations appear relevant. First, intoxication clearly is forbidden in Scripture (e.g., Eph. 5:18), but though one can have a nonintoxicating dose of wine, this is not so with cannabis, especially with the potent varieties in today’s market. Second, wine in the Bible is connected to dietary concerns and is involved in, for example, the practice of table fellowship and weddings in the Bible. We may contrast this to cannabis, which seems to have an exclusively intoxicating function. Whereas wine will intoxicate only with sustained use (and thus with restraint can have a strictly dietary use), marijuana immediately intoxicates the user. Third, part of the reason the Bible prohibits drunkenness, it seems, is so that believers will not find themselves in a state in which they are not able to discern the will of God. Certainly, marijuana use jeopardizes this in a way that the moderate use of wine does not. Fourth, if the Bible intended for us to use marijuana in moderation, as with wine, then why do we not find the same kinds of detailed guidelines for drugs (including marijuana) that we do for wine and other alcoholic beverages, since we know that many drugs were available and in use in the first century? H. Wayne House is a distinguished research professor of theology, law, and culture at Faith Evangelical College and Seminary in Tacoma, Washington, author of thirty-five books, more than a hundred articles, and former president of the Evangelical Theological Society. I find the arguments that Jesus would support marijuana not substantial enough to warrant a discussion in this article. “Marijuana and the Bible,” www.equalrights4all.org/religious/bible.htm. See HCSB, NASB, ESV, and NIV. See Kimberly B. Stratton, Naming the Witch: Magic, Ideology, and Stereotype in the Ancient World (New York: Columbia University Press, 2007), esp. 30–71; Michael A. Rinella, Pharmakon: Plato, Drug Culture, and Identity in Ancient Athens (Lanham, MD: Lexington Books, 2010). Robert Hunter, John Alfred Williams, and Sidney John Hervon Herrtage, American Encyclopedic Dictionary, vol. 2 (Chicago: R. S. Peale and J. A. Hill, 1897; repr., Nabu Press, 2011), 725.
qaneh, BDB, 889, and bosem, BDB, 141. “Marijuana and the Bible,” http://iahushua.com/T-L-J/MariC.htm. See my article, H. Wayne House, “Wine,” Baker Encyclopedia of the Bible, vol. 2: J—Z, ed. Walter A. Elwell (Grand Rapids: Baker Book House, 1988), 2145–48.